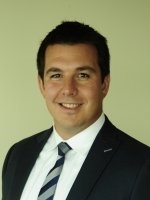 Aaron Young, CPA, is a financial planner and tax specialist at Spectrum Advisors. He earned a dual bachelors degree in Finance and Accounting from Northern Michigan University in 2007 and immediately begin working in the financial services industry. Since then Aaron has obtained his CPA license, allowing him to broaden his knowledge base and provide a more in-depth insight to the table. The blend of financial and tax knowledge gives him a unique perspective and makes him a valuable asset to his clients. When Aaron is not in the office you can find him playing rugby, golfing or skiing. He is a member of the Milwaukee Barbarians Rugby Football Club and coach of the Kenosha Vultures. 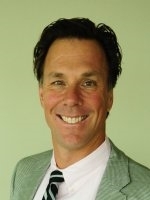 Jamie Young is a Financial Planner at Spectrum Advisors. Jamie graduated from the University of Oklahoma in 1986 with a degree in Finance and has been an independent financial advisor in the Kenosha ever since. In 2014 he formed Spectrum Advisors with his son, Aaron Young, to help retirees minimize their taxes and preserve their estates. Jamie’s goal for his clients is and has always been to help them grow, protect, and pass on their wealth through proper investment, tax, and estate planning. In his free time, Jamie is an avid golfer and triathlete. Recently, he has combined the two activities by playing what is known as Speedgolf, a variation on the sport that satisfies both of his passions. Jamie has also run five Ironman competitions and 10 half Ironman competitions, and in doing so has raised money for two local charities near and dear to his heart - Youth for Christ Southeastern Wisconsin and Kenosha West Rotary. Kevin Knaust has been the Chief Financial Officer for the AI Group for the last three years and continues to serve part time in a CFO role. Kevin graduated from Saint Joseph's College, with a bachelor's degree in Accounting and Finance and is currently pursuing his MBA at the University of Concordia-Portland. Kevin spent the first ten plus years of his career working as a public accountant, with the last seven of those years was spent as a manager of a large accounting firm. During Kevin's time as a public accountant, he worked with a wide range of clients in a large variety of different industries. Kevin's primary duty as manager was as a business consultant and tax advisor for his clients. Kevin obtained his Enrolled Agents license for the IRS in 2006 and also serves on the board of directors of Living Hope LC. Kevin Knaust is not affiliated with Woodbury Financial Services, Inc.